Home Uncategorized VanGilder commits to ETown!!!! 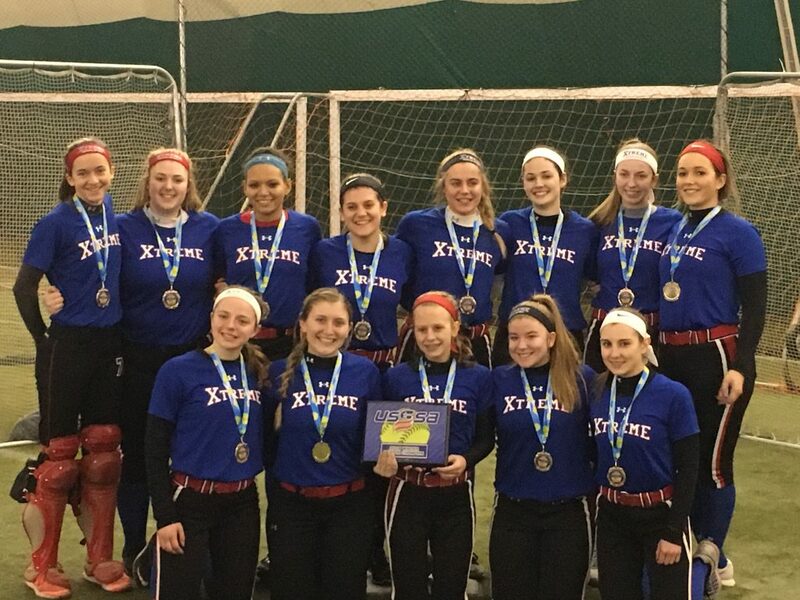 PA Xtreme 14U wins Nook Indoor!! 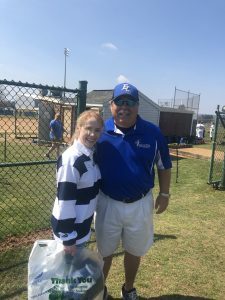 April 6, 2019 – PA Xtreme 18U Premier‘s Jillian VanGilder has committed to continue her academic and athletic career at Elizabethtown College! April 1, 2019 – PA Xtreme 18U Premier‘s Maddie Solow named ExtraInnings Softball National Player of the Week runner-up! 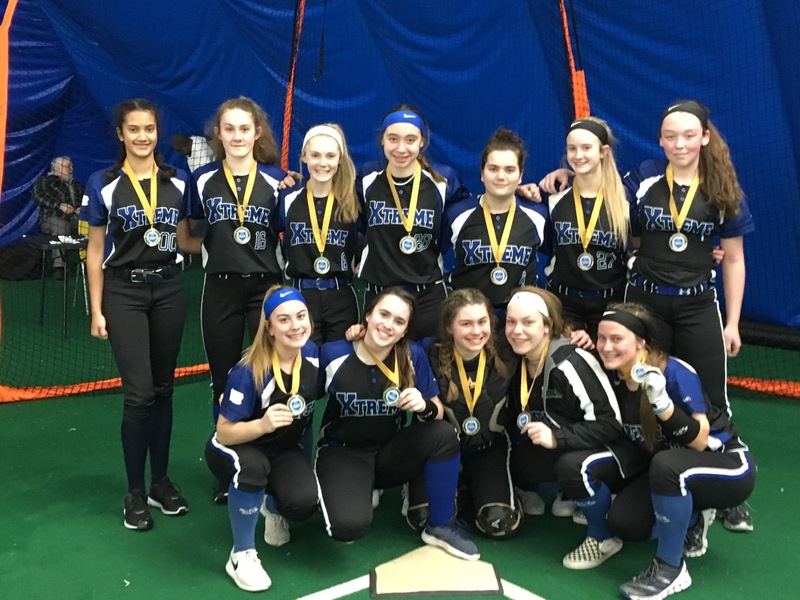 March 17, 2019 – Congrats 14U Premier for winning the Spooky Nook’s 14U Indoor, great run by going undefeated the whole tournament. 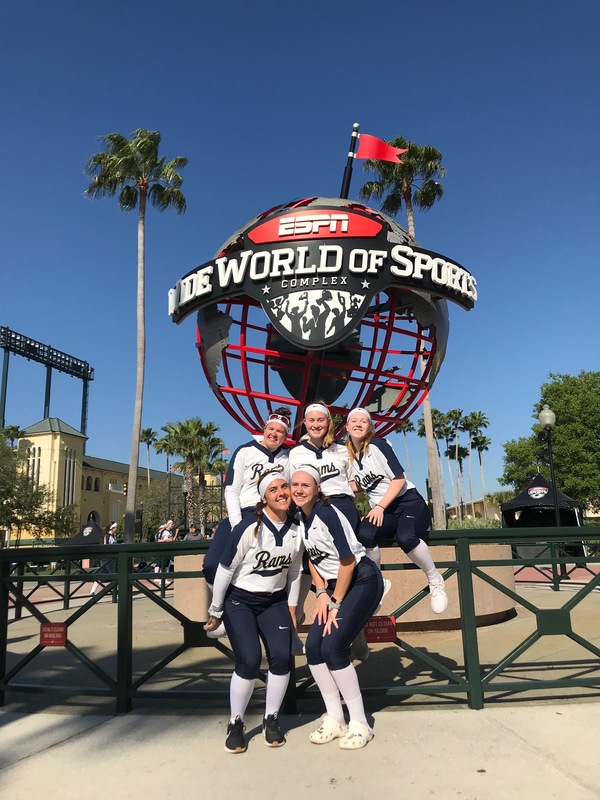 March 21, 2019 – Great job by the Premier 18U’s Jules Hughes, Bridget Sharkey, and Jules Ryan leading the Spring-Ford softball team to an undefeated trip to Orlando at ESPN’s Wide World of Sports! February 11, 2019 – Watch as former Xtreme now USF Ana Bruni’s makes the Feb 11 ESPN SportsCenter Top 10!!! 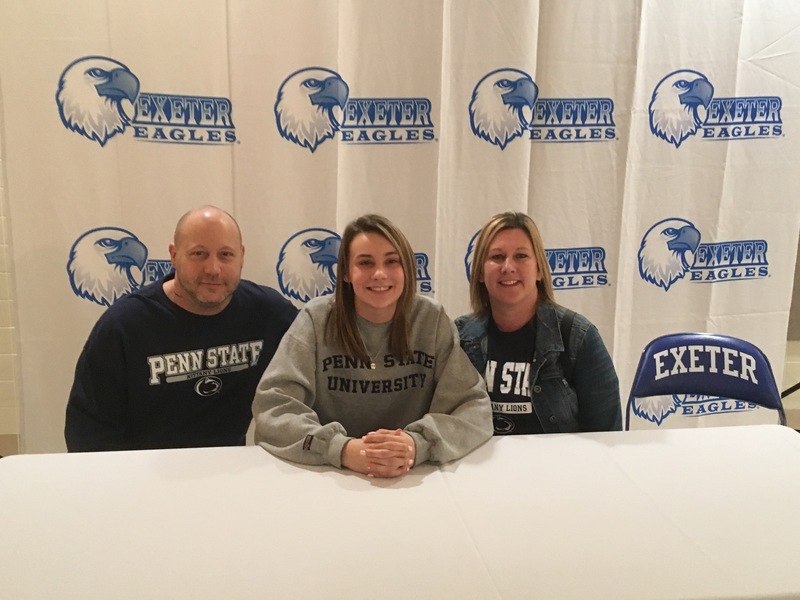 January 20, 2019 – Congrats to Zoe Barna on signing her NLI to continue her academic and athletic (softball/volleyball) at Penn State Berks!! 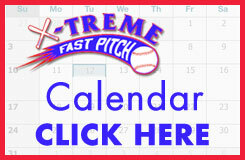 November 18, 2018 – Where will the PA Xtreme play in 2019? So far we have received early acceptance into TeamNJ Summer Showcase, Pennsbury Invitational, Northeast Challenge, TNt Showcase, Triple Crown Fireworks, Blue Chip Super40, and Blue Chip DWI, with more expected in the next few months. 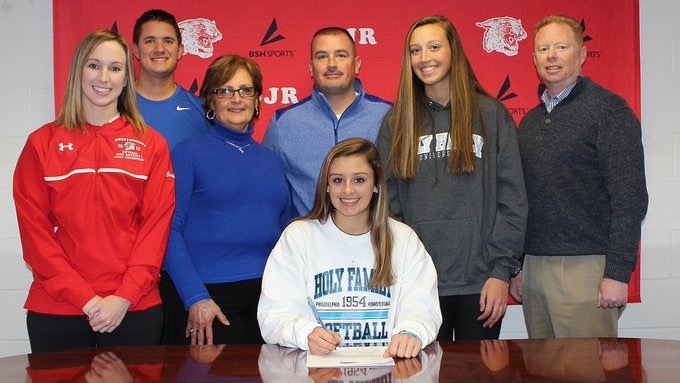 December 10, 2018 – Congrats to PA Xtreme 18u Premier Madison Twaddell on signing her NLI to continue her academic and athletic at Holy Family University!! October 20, 2018 – Congrats to the 12U White for winning the USA Softball Fall Fest and bringing home more hardware again! Great job girls. October 1, 2018 – Have your heard the date of the PA Xtreme College Camp? Scheduled for November 11, have your registered yet? For more information, find the camp information here. September 20, 2018 – PA Xtreme is proud announce our 18U Premier Madelynn Solow has been ranked #186 out of top 500 athletes on ExtraInnings Softball Extra Elite Class of 2020!! Great job Madelynn. August 18, 2018 – Kuberski adding softball! We are proud to announce that Emily Kuberski (2018) will pursue a degree in Fashion Merchandising at Thomas Jefferson University, and also decided to play softball for them! Way to go Emily! August 1, 2018 – Committment alert!! Congrats to PA Xtreme 18U Premier 2019 Madison Twaddell for her committing to continue her education and softball career at Holy Family University! Madison will pursue her Nursing degree while playing for the Tigers. July 15, 2018 – Congrats to the Xtreme 14U Premier ’04 for winning the Nightmare Classic! July 10, 2018 – Congrats to the 12U White for winning the USSSA Xtreme Summer Heat Qualifier in Easton, PA, bringing home the Championship trophy 2 weekends in a row!! July 9, 2018 – Congrats to the Xtreme Premier ‘03 Allie Daubert for making 2nd team Mercury All-Area as a freshmen. Congrats to Honorable Mentions Emily Kuberski (18u Showcase), Madison Twaddell and Jules Hughes, (18u Elite), and Ashley Remington (18u Premier). July 1, 2018 – Congrats to the 12U White and 18U Premier crowned champions in their respective age groups at the USSSA Fireworks!! 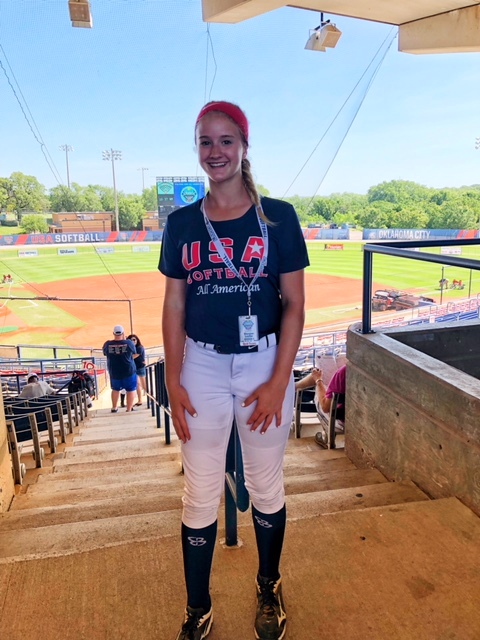 June 30, 2018 – Morgan Lester (PA Xtreme Premier ’04) representing in the USA Softball All-American Games, Region 1 Red team in Oklahoma City. What a great experience and selection! June 24, 2018 – Congrats to the PA Xtreme Premier ’03 for winning the TeamNJ Challenge Cup, earning a secured bid to the 2019 TeamNJ Summer Showcase. June 24, 2018 – Congrats to our PA Xtreme 18U Black for placing 2nd this weekend at the USSSA Pride in the Diamond in Bethlehem. Great job to the team! Congrats to our own Emily Kuberski (18u Showcase) and Ashley Remington (18u Premier) for being named All-Academic for the PAC10 for the spring 2018!! Congrats to our Xtreme 12U White for placing 2nd in the USSSA Daddy’s Day tournament in State College! Congratulations to the Xtreme 14U Premier ’03 for being named co-champs of the BlueChip Super40 Elite Showcase! Great job girls! Congratulations to the following 18U Elite team members for making for making the 2018 Carpenter Cup Softball team : Maddie Daubert, Madison Twaddell, and Madelynn Solow! Great job girls! 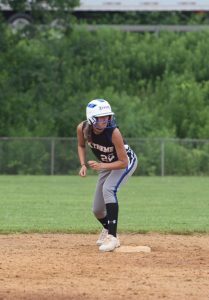 Congratulations to Zoe Barna from our Xtreme 18U Black team for making the 2018 Carpenter Cup Softball team representing Berks, Lebanon, and Lancaster counties. Zoe is a junior at Exeter Township High School. The Carpenter Cup showcases some of the best sophomore and junior softball players from eastern Pennsylvania, New Jersey, and Delaware. Congrats to Xtreme 10U Black for finishing 2nd in the USSSA Battle for the Bell. Great job girls! Congrats to X’03 for winning the 2018 Jennie Finch. After 2 straight years of top 3 finishes, X’03 wins 7 straight games to take home the first place prize. Xtreme 10U Black wins the Nook 10U Indoor tournament. Congrats on your first tourney win of the year! Ferguson commits to Ursinus – Congrats to Lauren Ferguson (18U Showcase) on her commitment to continue her academics and athletics at Ursinus College. Congratulations to Xtreme Premier ‘03 Jules Scogna for being ranked #263 in the Extra Elite Class national rankings of 2022 grad year players by Extra Inning Softball. Great job Jules! Congrats to our 18U Showcase team for winning the USSSA Strike Out Diabetes Indoor Tournament! Great job girls! Xtreme 18U Premier is very excited to announce that Jess Oltman has committed to Misericordia University! Congrats to Jess!! This is their 10th player to commit. Great job!! Congratulations 14U Premier ’04 Morgan Lester (2023) for being selected to the 2018 USA Softball All American team. Morgan’s team will represent Region 1 and will travel to Oklahoma City on Thursday, June 28th to play in the USA Softball Hall of Fame Stadium competing against the top 360 12U athletes in the country. Good luck, Morgan! Our 18u Premier just had their 9th player, Naiya Murrey, commit to West Chester University! Congrats Naiya! PA Xtreme has officially has been accepted for the Pennsbury Showcase in 2018. 18u Premier adds another college commitments. Ashley Remington has committed to Holy College University. Congrats Ashley! 18u Premier adds to their recent success of college commitments. Fiona Warren will join Keira Walton at Penn State Brandywine! Congrats Fiona! Recent Commitments – Congrats to our recent athletes , Congrats to Keira Walton from our 18U Premier for our commitment to Penn State Brandywine! Way to go Keira. Congrats to Rachael Moser from our Xtreme 14U Premier ’03 team for earning a spot to travel to Florida to play for the Softball Factory/Under Armour camp. Recent Committments – Congrats to our recent athletes who have committed to continue their softball careers at the next level! We are proud of you and can’t wait to follow your careers next year! Congrats to our 16U Black team for winning the 2017 Big Vision Fall Fest in Leesport PA.